Rarely has a wine become more unanimous than the great Pétrus. Everyone agrees, Pétrus wines are the most famous and coveted wines in the world. Pétrus is first of all a small terroir of only 11.5 hectares, situated in clayey soil of Pomerol. One of its secrets is in its unique subsoil, composed of iron and clay dross. It is this terroir that gives Pétrus its unmistakable taste! But the terroir does not do everything, the other secret of Pétrus is none other than Jean Claude Berrouet, a renowned and experienced oenologist who has been directing the production since 1964. These are the two secrets that made Petrus! Pétrus 1978 presents a magnificent dark garnet robe. On the nose, it distils an intense bouquet of black and red fruits, truffles and cocoa, delicately spiced and enhanced by toasted notes and a more mineral touch. 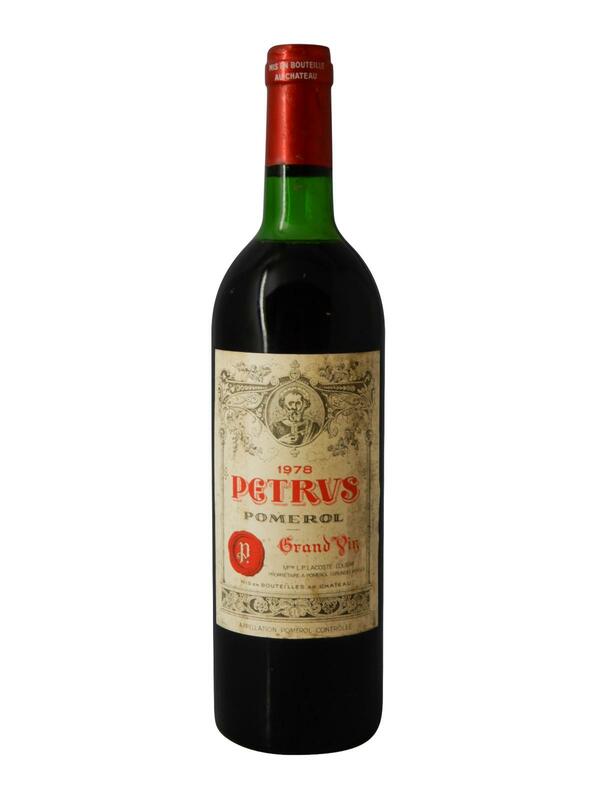 In the mouth, Pétrus 1978 is a full-bodied and balanced wine, with light tannins and great finesse. Fruity and silky, Pétrus 1978 is now at its peak and should be drunk within the next 10 years.